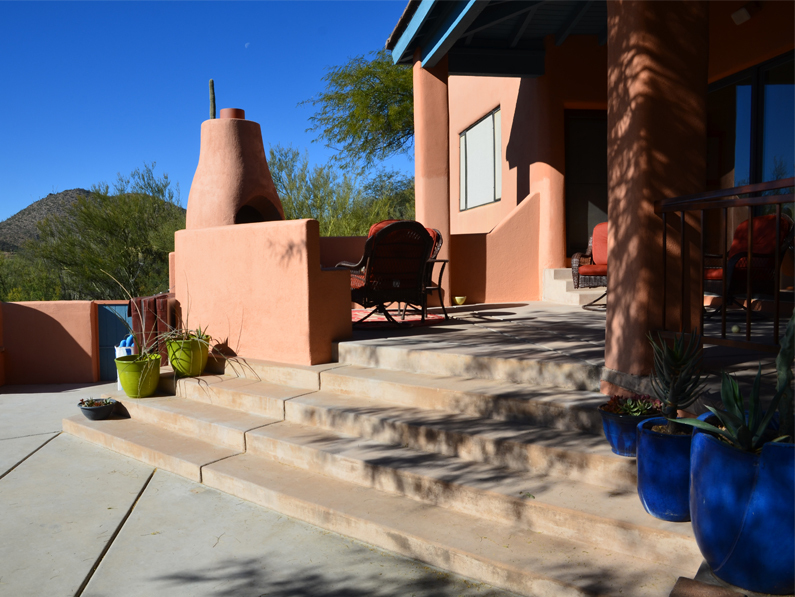 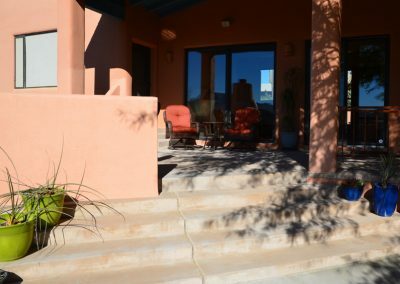 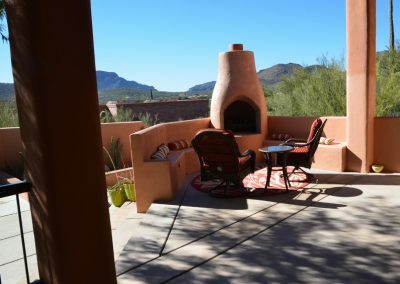 A lovely home in Starr Pass, Tucson, Arizona was comprised of a multi level patio with stunning and expansive views as well as an abundance of safety concerns. 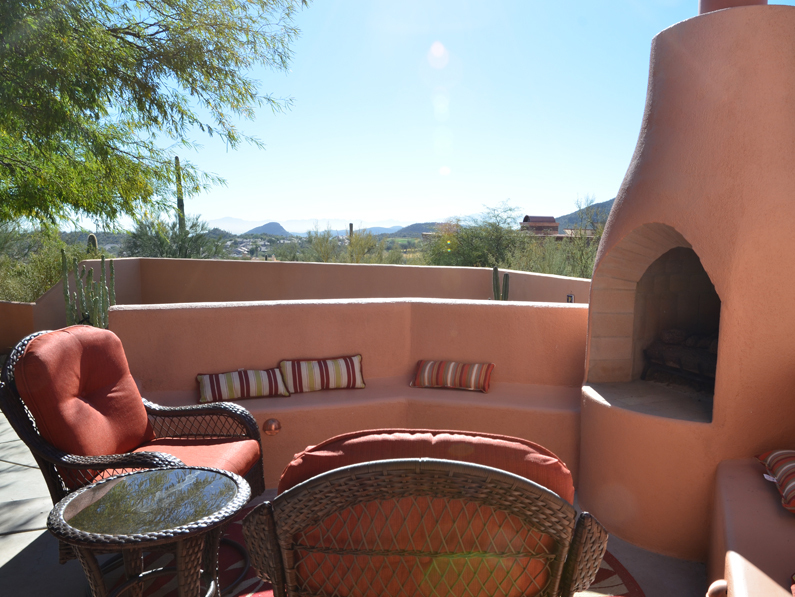 One problem area was turned into an outdoor seating area complete with a Kiva Fireplace and banco seating. 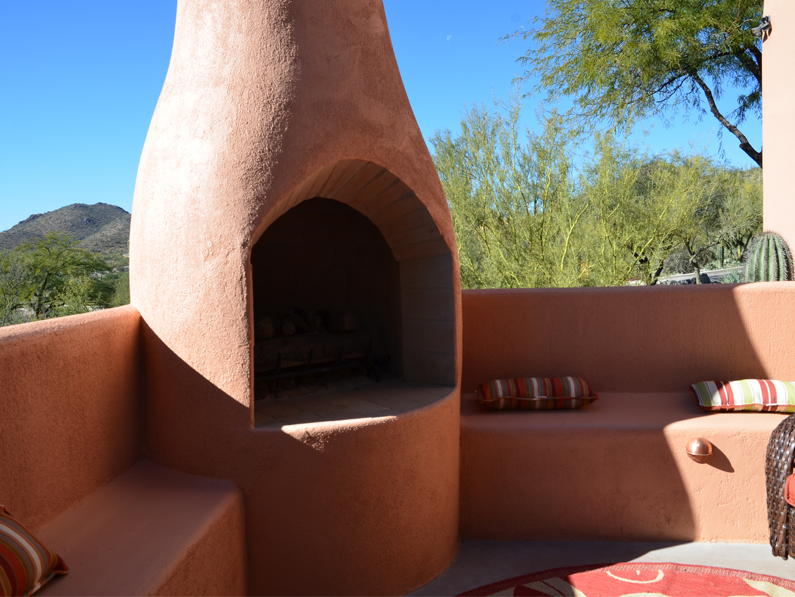 The wall surrounding the fireplace is an extension of what existed and followed the original lines of the house. 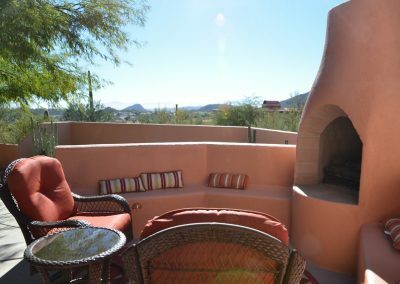 A space once useless and downright dangerous became the hearth of the patio. 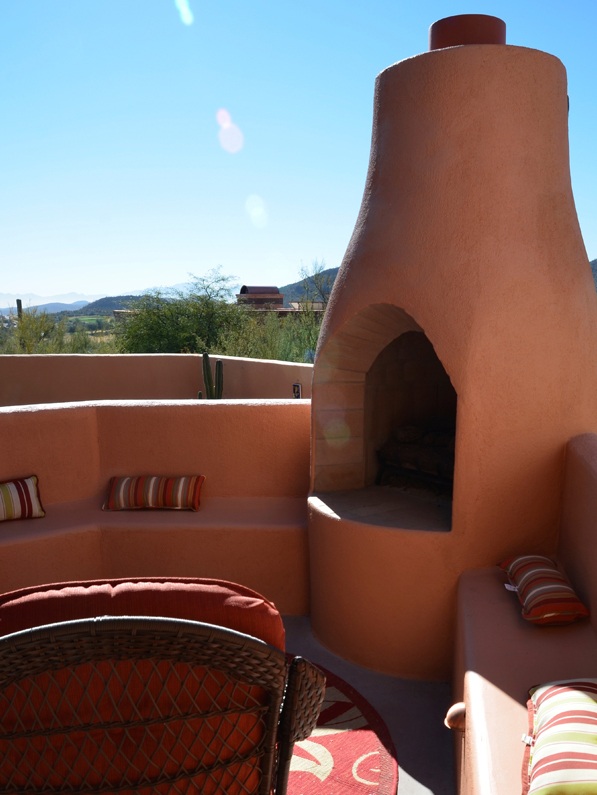 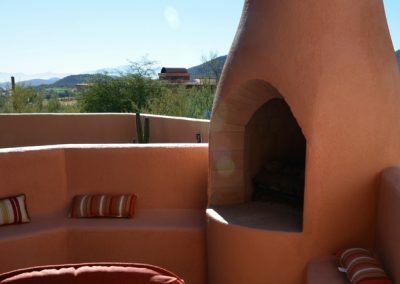 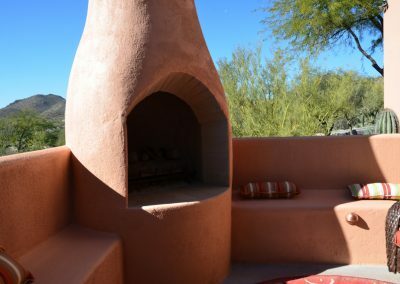 The only view blocked by the Kiva fireplace was the neighboring rooftop downhill. 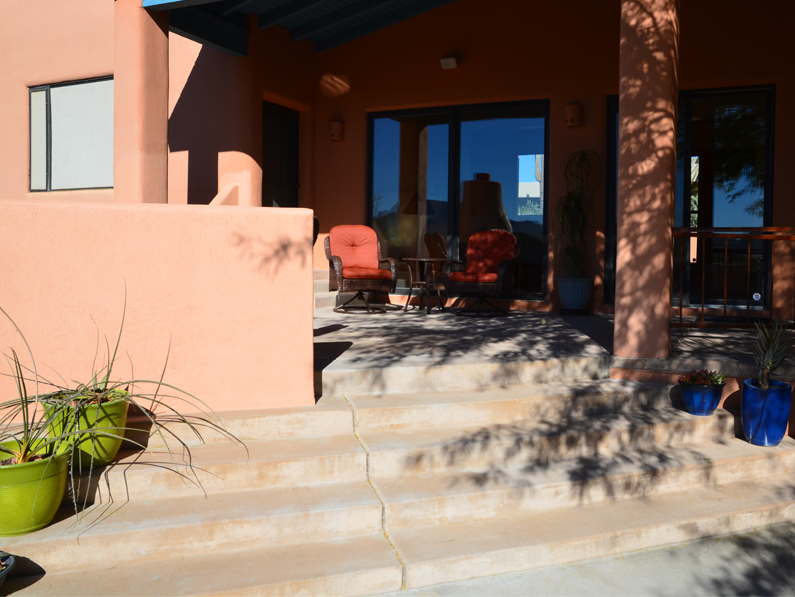 The next level down is filled with old cacti and native desert flora. 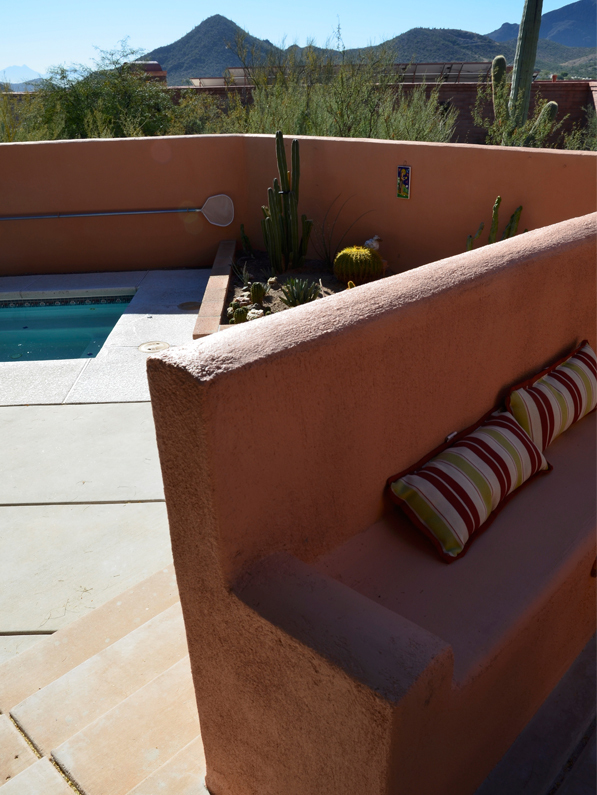 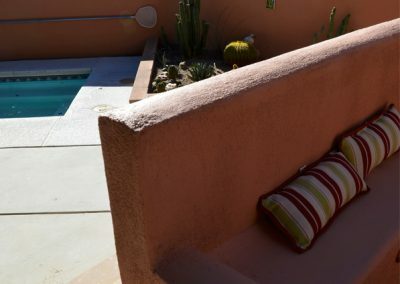 Active and passive water harvesting was implemented across the property.